TDI Nitrox is the entry level certification course for recreational divers wishing to utilize enriched air or nitrox (EAN) as a breathing gas. 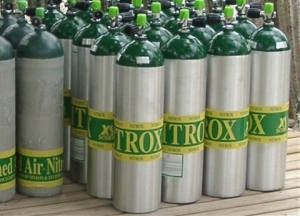 The objective of this course is to train divers in the benefits, hazards and proper procedures for using nitrox mixes from 22 percent to 40 percent oxygen content. Upon successful completion of this course, graduates may engage in diving activities utilizing EAN 22 to EAN 40 without direct supervision. Satisfactorily complete the TDI Nitrox Class written examination. Demonstrate understanding of oxygen analysis for Nitrox mixtures. There is no diving needed to complete this class!